It’s the penultimate week of our #WrenFamilyFavourites competition, and we’ve been treated to five more incredible recipes from our collection of food bloggers. From dumplings to trifles, these are some seriously tasty treats that sum up all that’s great about hearty home cooking. Remember to let us know how you get on if you try any of these at home – use our hashtag #WrenFamilyFavourites and send us your stories of success on Instagram! 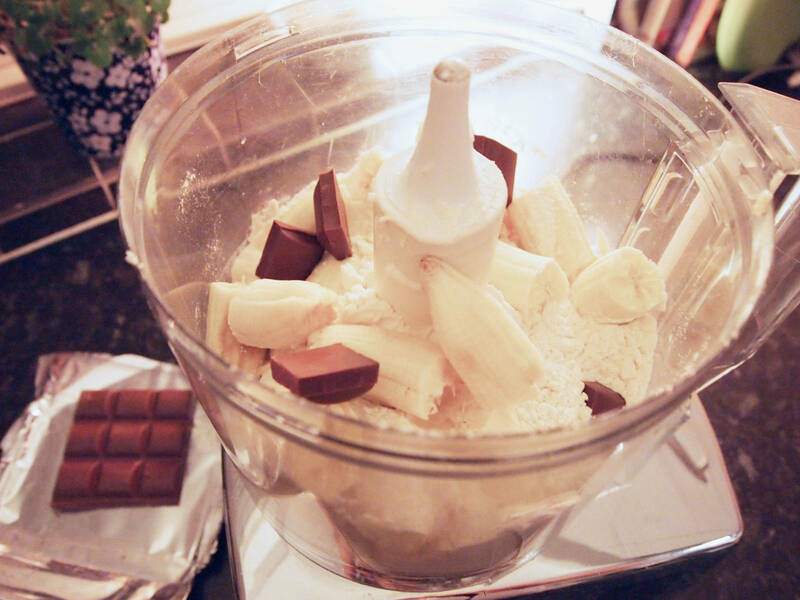 Mix together all the ingredients for the filling (everything except the wrappers and the water) until well combined. Lay out the wrappers on a flat, dry surface then place a tablespoon of filling into the middle of each wrapper. Using the water, wet the edge of each wrapper then fold in half, into a triangle. When sealing the dumplings, make sure there are no air pockets inside as this might cause them to split during cooking. To create the round dumpling shape, hold the base of the filling with your thumbs then bring the end corners together until they overlap. Seal the corners together with water. Place dumplings on a lightly floured surface to prevent them sticking. Once all your dumplings are made, you can cook them straight away or freeze them for later. When freezing them, pack carefully in an airtight container and separate with a sheet of cling film if you’re stacking more than one layer into the container. 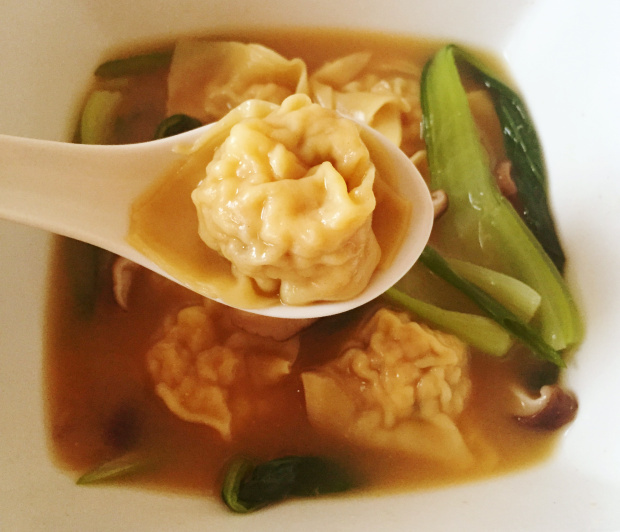 To cook, from fresh or frozen, bring a large saucepan of water to the boil then add the dumplings. Stir occasionally to prevent them from sticking to the bottom of the pan. Boil them for 6-7 minutes, they’ll float to the top once cooked! Serve as they are with a soy and chilli dipping sauce or in a broth with noodles, pak choy, and shiitake mushrooms! Evenly distribute the apples to the bottom of the dish. Mix the flour and the butter together in a bowl with your fingers until it feels like crumbs, then add two tablespoons of sugar and stir together. Add the water, cinnamon, and two tablespoons of sugar on top of the apples. 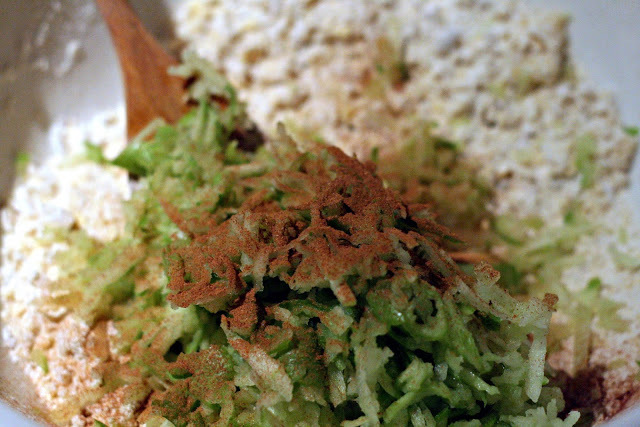 Add the crumble to the top of the apples, ensuring it is all covered. Put the dish into the oven, allowing to bake for around 45-50 minutes or until golden brown. Sprinkle one tablespoon of sugar on top of the crumble. 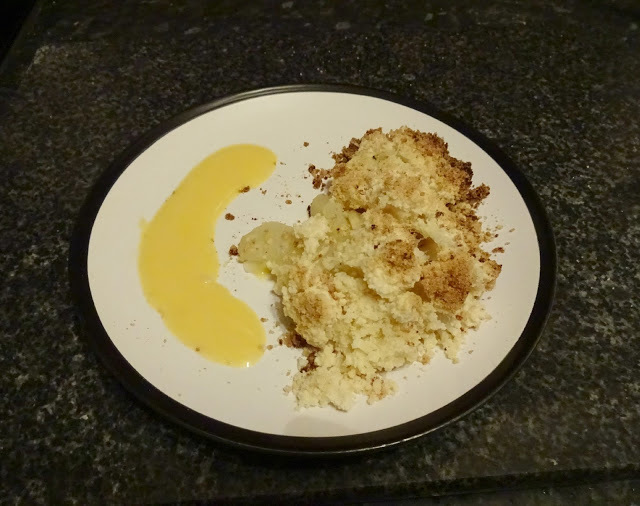 Serve with custard, ice cream or alone! Preheat the oven to 180C and grease a loaf tin with some butter. Line the tin with some baking parchment as well. In a large bowl, mix together the butter, sugar, and egg. Slowly mix in the flour and baking powder. Peel and mash the bananas and add them to the bowl. 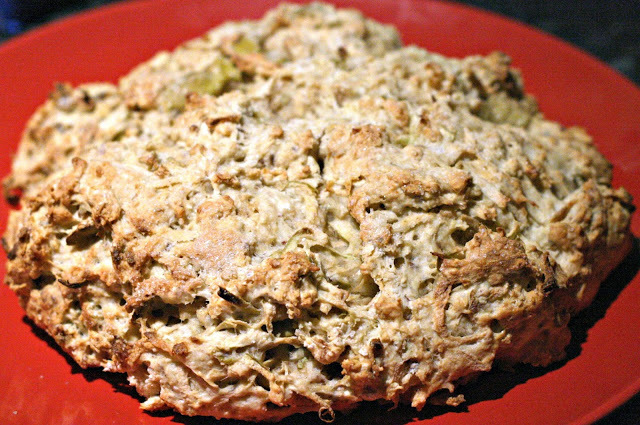 Pour the mixture into a loaf tin and place it in the middle of the oven for an hour or until golden brown. 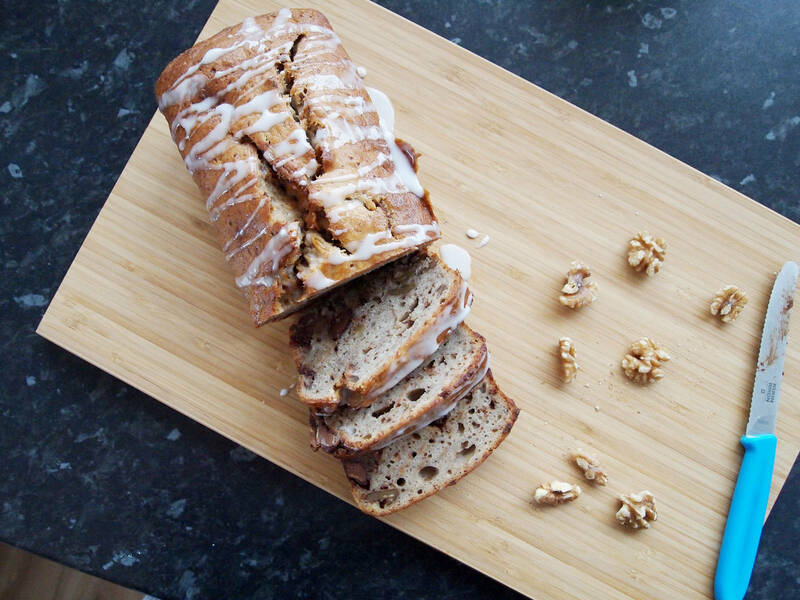 Allow the loaf to cool before removing it from the tin. Rub the butter into the flour and then add the sugar and apple. Stir in egg/egg replacer, cinnamon, and salt to combine. Form into a large circle and sprinkle with sugar. Mark 8 triangles and bake in a 180 degree oven for 15-20 minutes. Once cooked, cool on a rack and cut into portions. Cut the Swiss roll into thin slices and line the bottom of the bowl. Add the kirsch evenly over the Swiss roll. I’ve said 6 tbsp but add more if you like it boozy. Add to the custard stirring continually then leave to cool. Whip the double cream until thick then after ensuring the custard is completely cool, spread over the top of the custard. 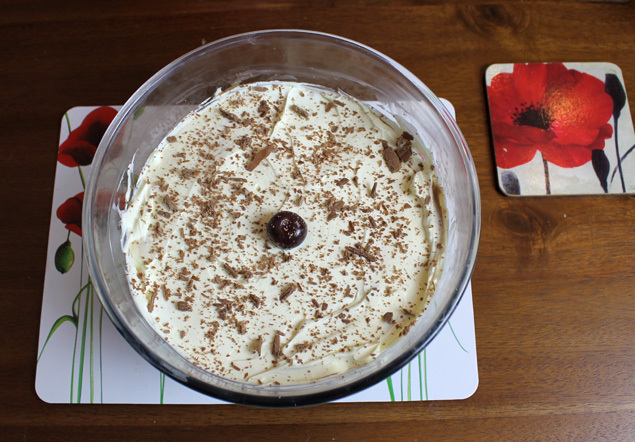 Decorate with the cherries and crumble a chocolate flake over the trifle.